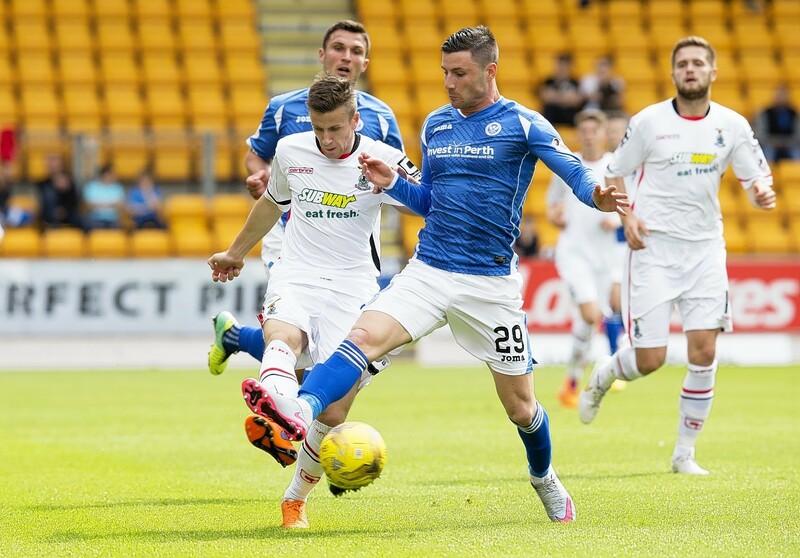 LIam Polworth, left, is out of contract with Caley Thistle at the end of the season. Caley Thistle midfielder Liam Polworth is determined to seize opportunity from adversity and solve his club’s hefty injury troubles. The 20-year-old was highly rated by former Caley Thistle manager Terry Butcher but had fallen out of contention under his replacement John Hughes. Last season brought particular frustration for the youth academy player who managed just two starts – in defeats away to Rangers and Celtic – and four substitute appearances. The son of former Caley Thistle attacker and now Clach manager Iain, Polworth has struggled to follow the lead set by the likes of Nick Ross, now with Dundee, and Ryan Christie. Polworth thought long and hard about leaving the club this summer in search of a first-team berth. He came off the bench before the interval when Gary Warren broke his leg in the season’s opener against Motherwell and his contribution was good enough to earn a full 90 minutes in the draw at St Johnstone on Saturday where, again, the youngster impressed. Polworth said: “I was delighted to get a game again and get back in the team. My future was something I’ve had to think about, even over the summer, whether I was going to get games or not. “Things have happened that allowed me to get a start on Saturday and, hopefully, I’ve done enough to stay in the team. “I have to try to give a little bit more every week to keep my place. There weren’t many opportunities last season and that is all I’ve been hoping for – the chance to play and show what I can do so I won’t have to look elsewhere. Polworth senior cut his teeth in the Highland League before earning a move to Aberdeen and later playing for Caley Thistle and Elgn City. He advised his son to think carefully before moving on. Polworth said: “My dad said to be patient, but he also knows there would come a point where I would need to decide if the time was right to move. “He told me to stick with it, be patient and to make sure when the chance did come along I was ready to make the most of it. Polworth expects a tough evening against a Partick side beaten 2-0 by Celtic on Sunday. He said: “I thought we played well against St Johnstone. Maybe in the second half we didn’t pass the ball quite as well as we should have, but I still felt we did enough to win the game. “It was just unfortunate to lose the late goal. “I’m not sure if we had to get the Scottish Cup final and the Europa League out of our systems, but everyone is focused to go again now. “All we’re thinking about is the next game. Knowing we achieved so much last year doesn’t change anything. We want to see what else we can do this season. “Partick is always a tough game. Hopefully we can put on a good performance and get the three points.